Two-time Grammy award-winning rock band Evanescence has just announced a tour for this upcoming summer. The band will be joined by electronic violinist and Billiboard Award-winning artist Lindsey Stirling as Co-headliner. Both acts will be accompanied by an orchestra. The tour will take the two group across North America starting July 6th in Kansas City, MO at the Starlight Theater until September 8th, when the two acts will hit the stage for one last show in Ridgefield, WA at the Sunlight Supply Amphitheater. Evanescence will offer a number of VIP tickets which allow fans to enjoy premium seating, attending sound check and a champagne toast with the band. Stirling’s VIP packages, on the other hand include premium seating, a pre-show party, and exclusive merchandise. Evanescence has recently released their latest record titled Synthesis, which debuted at No. 8 on the Billboard Top 200 Album chart, according to Loudwire. The album, which represents the band fourth studio LP, debuted as the #1 Rock Album in the country and #4 best-selling album overall. The group has been busy headlining a Fall tour in 2017 as well, which saw the band accompanied by a 28-piece orchestra. 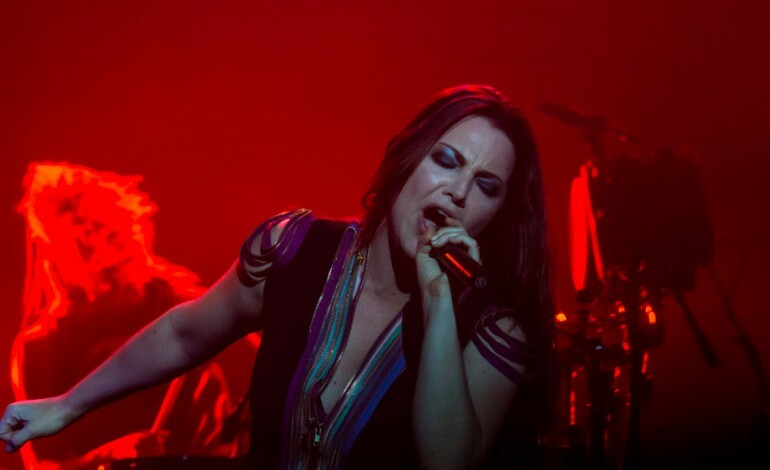 Singer Amy Lee, however, was recently awarded $1 million from her former management company, 110 Management Inc. The company originally sued the singer for unpaid fees and commissions for about the same amount ($1 million) that later an external arbitrator ruled was due to Lee, according to Loudwire. Stirling, on the other hand, who recently was one the participants of popular TV show Dancing With The Stars, started her 2018 by making a medley of two songs from the film Greatest Showman (which she admitted to be in love with on a tweet) Never Enough and Rewrite The Stars. The artist has also release a holiday album last year titled Warmer In The Winter, which features a 80-piece orchestra as well as electronic production. The realization of such an album was a long-time artistic goal for Stirling, according to Billboard.